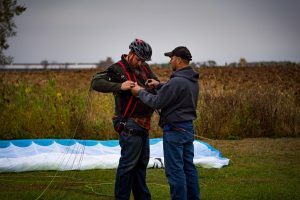 The Wisconsin Powered Paraglider Website is here to provide the people in Wisconsin a source for paragliding or paramotor equipment, training and a source for information about this wonderful sport. 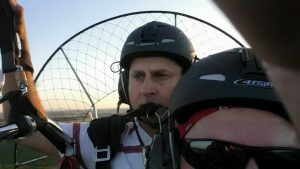 We are a small group of PPG pilots in Wisconsin who want to grow and share our love for flying and to enjoy the freedom of flight. If you feel you may want to share in this exciting, interesting and relaxing sport of powered paragliding, you can feel free to contact us. Anyone is welcome to come watch, learn, train and or fly with us in the area.